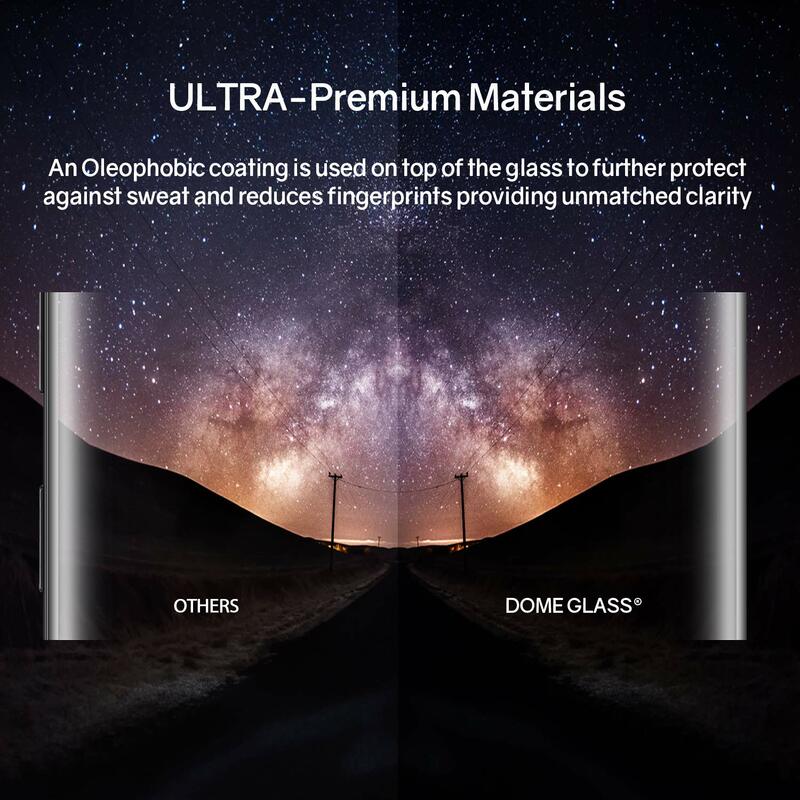 ✔️ LIQUID DISPERSION TECHNOLOGY - Our patented liquid glass evenly disperses over your entire screen, including existing scratches and scuffs, and hardens to create an impenetrable edge to edge barrier while repairing former cracks and imperfections. 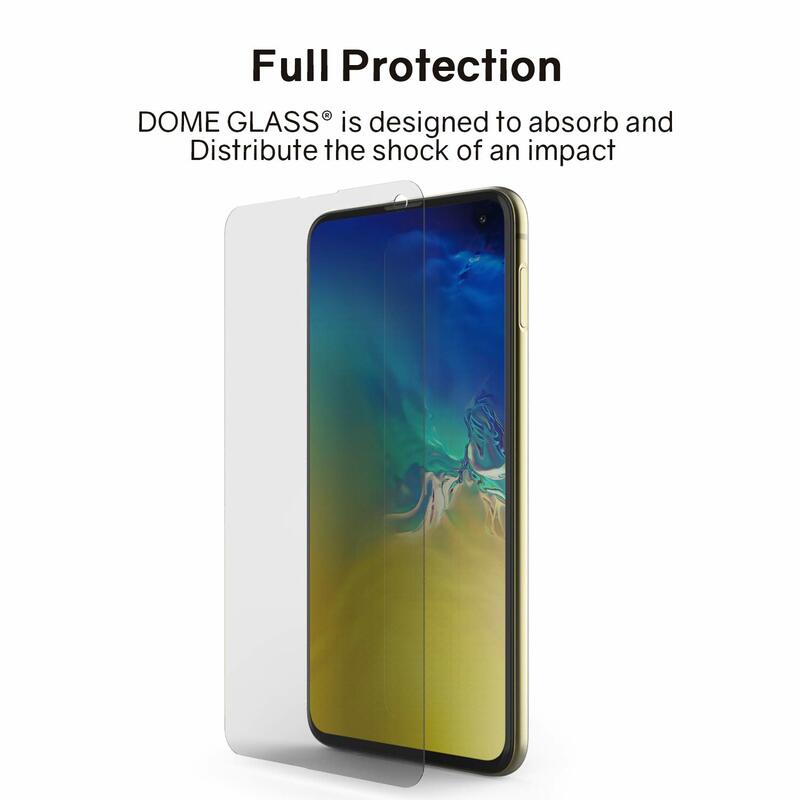 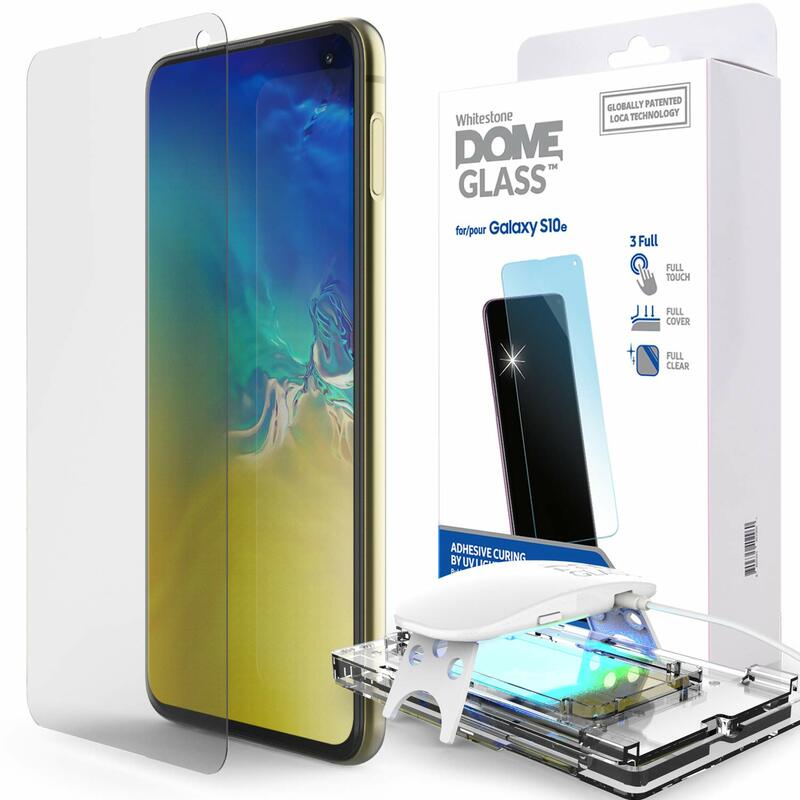 ✔️ BEST COVERAGE - This Dome Glass Galaxy S10e Screen Protector is #1 in protecting your entire S10e screen. 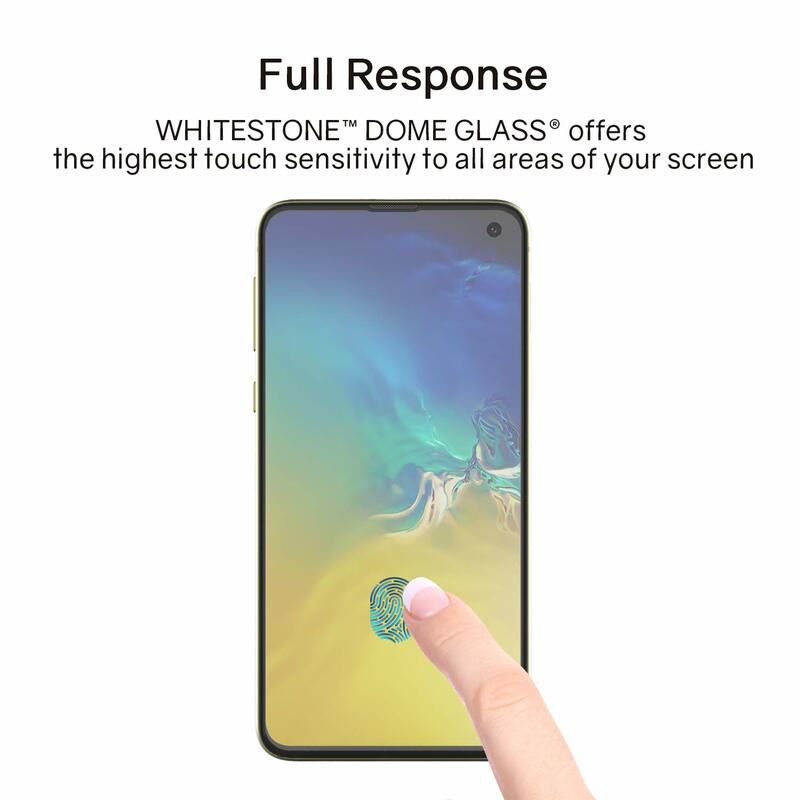 Other competitors don't cover the full screen, which increase your risk of permanent damage by 15%. 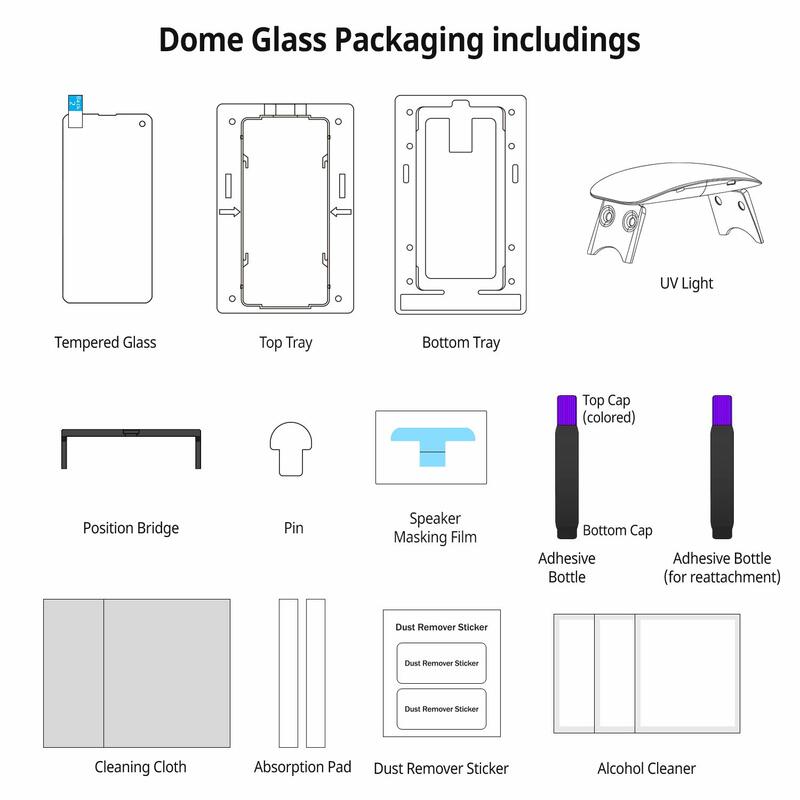 ✔️ BUBBLE-FREE INSTALLATION KIT - To prevent errors and air bubbles, our install frame and UV curing light are included with purchase. 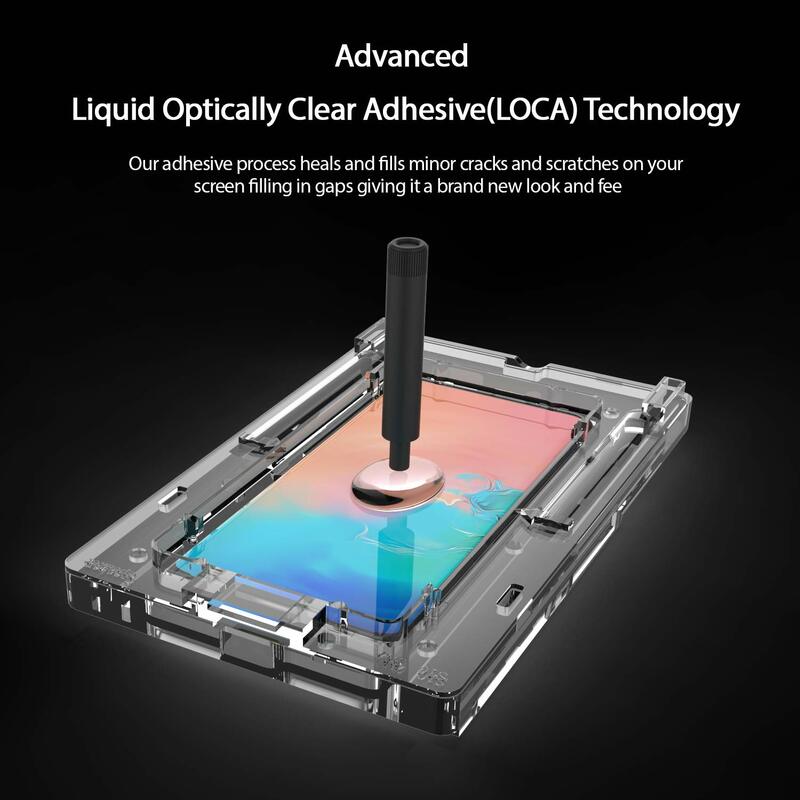 Quality is reflected through commitment, so make sure you have enough time and patience to get an undeniably perfect result.